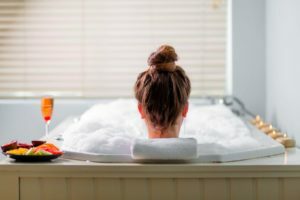 One wouldn’t necessarily think of Knysna as a “city” – it’s much too quaint and laid-back a holiday spot for that – but what certainly is true, is that it’s a prime holiday spot and a definite must-do on any Garden Route holiday. Knysna has soared up to second place on Conde Nast Traveller’s Top 5 African cities list, based on their readers’ opinions. Unsurprisingly, Cape Town holds top place, and the other three greats of African cities are Marrakech and Fez in Morocco, and Egypt’s Cairo. Knysna was rated as follows by discerning travel readers: Ambience: 85.5, Friendliness: 83.9, Lodging: 78.0, Restaurants: 72.1, Culture/Sites: 68.3, Shopping: 49.0. Average rating: 72,2. 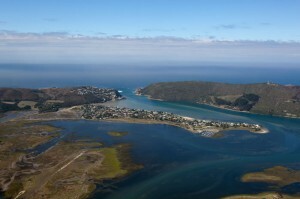 So what’s great about Knysna? Among its many attractions, nature reserves are a huge drawcard, and these include the Featherbed Nature Reserve, the Garden Route National Park, Steenbok Nature Park and others. More info. There are many wonderful animal sanctuaries, that are fun for adults and children alike. Hiking opportunities are abundant, pristine beaches and mysterious forests call out to be discovered, and it’s the place for fresh oysters. It’s also alive with markets and an eclectic mix of local art, it offers tons of water activities, scenic boat cruises, and it’s a brilliant golfing destination. It’s also well situated to get to everything else on the Garden Route. 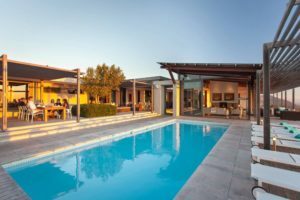 From lagoonside hotels to forest sanctuaries and treetop suites, Knysna has a wonderful selection of accommodation options. 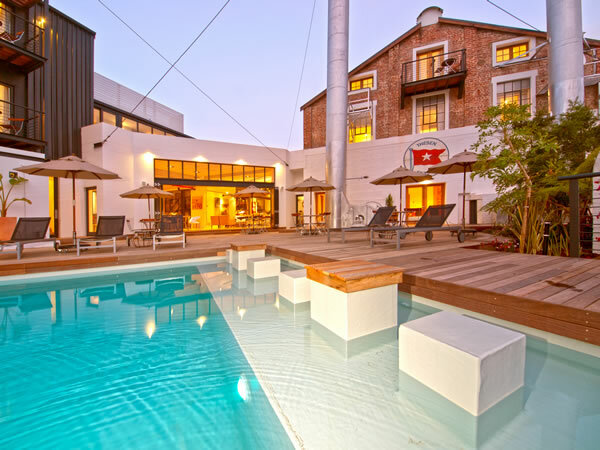 A really novel and upmarket option is The Turbine Hotel & Spa on Thesen Island. 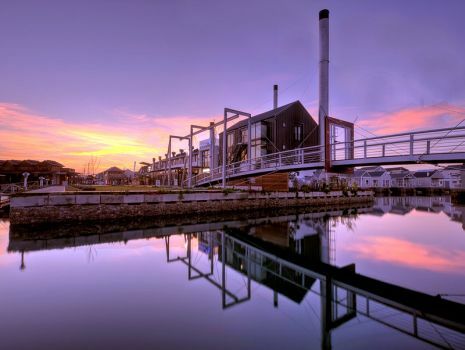 Brilliantly resurrected as a funky, five-star hotel from an old, disused power station, it could easily be said to be Knysna’s most switched-on getaway! A bright flash of creative genius and some inspired lightbulb moments led to the successful transformation of the old power station in what must surely be one of the most exciting hospitality ventures on the Garden Route. The hotel incorporates the original turbines, mechanical equipment, operating panels and large sections of piping in all sorts of intriguing ways. 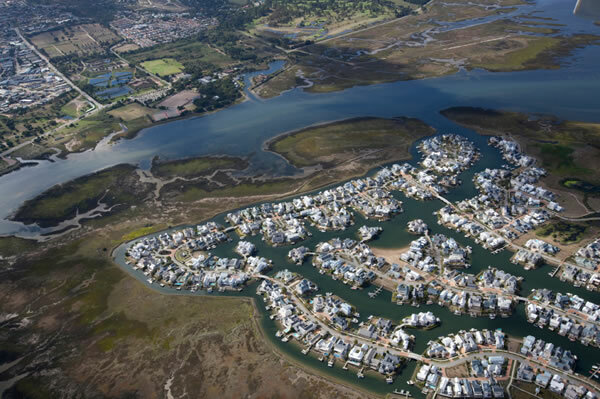 It stands on Thesen Island, along with some prime residential sites which are linked to each other and to the Knysna lagoon through a series of waterways.